Exam bosses in Scotland have come under fire from teachers over claims that this year’s Higher geography exam was the “worst ever” and bore no resembance to previous papers. 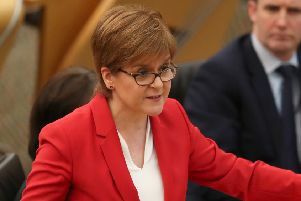 There are now claims that the Scottish Qualification Authority (SQA) is presiding over an exam set-up in Scotland which is not fit for purpose. The SQA will today face questions from MSPs on Holyrood’s education committe. But it has emerged that a survey of geography teachers found more than half said it was “poor, shocking, terrible, worst ever and nothing like the specimen or previous paper”. Only 10 per cent classed the paper as “fair, OK, or better”. The Royal Scottish Geographical Society also expressed concerns about geography qualifications and shares the worry that too little emphasis is now placed on physical geography. Chief executive Mike Robinson said: “We have found that the implementation of national courses has proved overly rigid and where the SQA has sought advice it has not been sought as widely or as timeously as it could have been. Tory education spokeswoman Liz Smith said: “This isn’t just a case of one or two hacked-off teachers. There is a growing consensus that the SQA is not presiding over a fully fit-for-purpose exam framework. The SQA said this year’s Higher geography was set at the appropriate standard – the pass mark and the marks needed for particular grades were within the normal range. “These matters will be considered as we revise the course assessment at Higher level for implementation in the 2018-19 academic year,” a spokesman added.